A stationary reader for on-line data collection. The permanent reading display allows you to fully concentrate on the animal to be handled. On-line data collection of various parameters as application of substances. Its wide reading range and the permanent reading display allow an effective and safe identification of the animal. The reader can be operated hands free after switch-on. Once a code is read, it is displayed on the back-lit LCD screen and an acoustic signal informs the user that a transponder has been read. 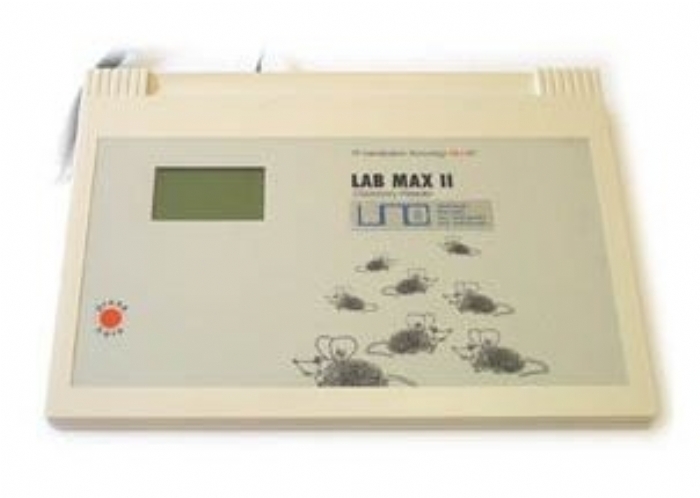 The LABMAX II can be linked to any stationary or portable PC for data collection. This enables the user to fully concentrate on the animal to be scanned.